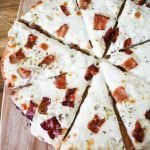 Looking for somewhere to eat in Sarasota, Florida? You’re in luck! This area is bursting with delicious local cuisine. 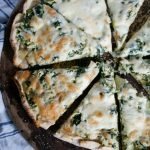 It’s been awhile since I first talked about where to eat in Sarasota, Florida. Since writing that post, I’ve discovered even more great places to eat. I’m so excited to tell you about all these great places! Social Eatery & Bar: This downtown restaurant serves Italian-American food that is made with seasonal, local ingredients. Because of this, there is always something new on the menu! This is a great place to go for a date night or a fun night out with friends. They have a huge drink menu as well, with lots of craft cocktails, craft beer, wine and more. What to get: any Wood Fired Pizza or Pasta. La Dona Donuts: (Update 4/2018): La Dona Donuts is no longer open, but they do still offer catering for events) It’s all I can do to avoid eating here everyday! 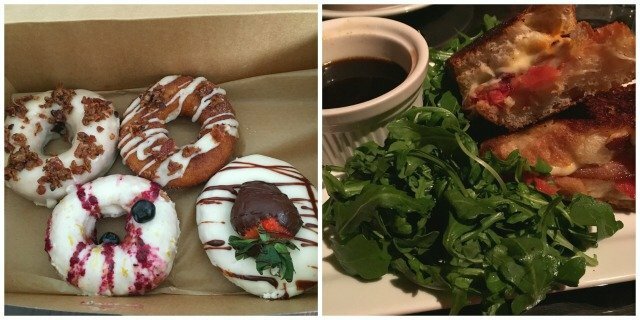 These gourmet donuts will change your life. It all starts with a cake donut that they top with all sorts of crazy things from candy to fruit to bacon. Get there early though, they sell out quickly! What to get: Maple Bacon donut. Eat Here: If you want to indulge in an over-the-top meal, this is the place to go. They feature a chef-driven menu with lots of great choices. My favorite is the Seattle Style Grilled Cheese which is made with two types of cheese and comes with french dip. What to get: Poutine and Seattle Style Grilled Cheese. 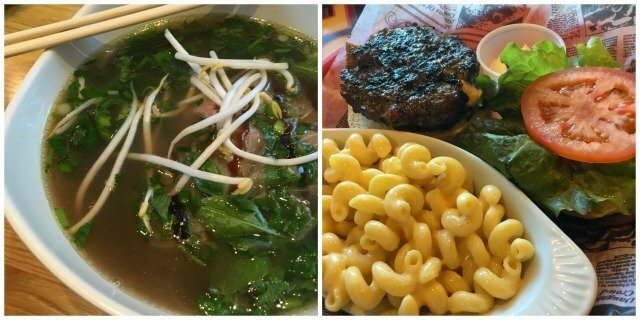 Pho 99: This is one of my favorite places to go for Vietnamese food in the area. Their pho is amazing! The broth is so flavorful and filled with all sorts of meats, rice noodles and more. What to get: P8. Full Belly: This restaurant is technically just into Bradenton, but worth driving a few extra minutes! They offer stuffed burgers, creamy mac & cheese and more. You will definitely have a “full belly” after eating here. What to get: the Bleu Cheese & Bacon Burger or Mac n’ Cheese (add some toppings like bacon and bleu cheese!). Ichiban Restaurant and Sushi Bar: All you can eat sushi! They have more than 50 rolls to choose from, so bring an appetite. If you aren’t into sushi, they also have a full menu of lo mein, fried rice and lots of other dishes to choose from. What to get: Baha Roll, Sarasota Roll or TGIF Roll. Der Dutchman: Sarasota has a large Amish community, so it’s a great place to find delicious Amish home cooking. 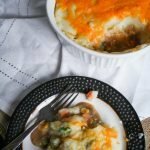 Der Dutchman is one of my favorites, whether it’s for breakfast or dinner. I love getting the buffet so that I try everything! What to get: the buffet. Haye Loft at Euphemia Hayes: If you want to do dessert right, this is where you need to go. When you enter the dessert room, the waitress will take you over to the display and show you all the pies, cakes and cobblers they offer. It’s so hard to pick with all of those tempting treats staring you in the face! What to get: Peanut Butter Mousse Pie with a Myers Rum & Dark Chocolate Icing. Michael’s On East: If you are looking for a high-end dining experience, try Michael’s On East. The service is incredible and they have some of the best seafood dishes in town. What to get: Colony Snapper. Looking for a great place to stay during your visit to Sarasota? We have a number of great hotels and resorts in the area. One of my favorite options for traveling is to stay in an Airbnb. It’s generally much more affordable and you can stay in a house instead of a hotel room. There are lots of Airbnb’s here that are located close to the beach! If you are new to Airbnb, get $40 off your trip with this link! 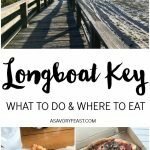 We love staying on Longboat Key, an island just outside of Sarasota. Check out my trip guide for where to stay, what to do and where to eat! Have you been to Sarasota? What was your favorite restaurant? I love living here! You definitely need to make a trip here soon. Yeah, totally go to Ichiban if you want to eat sushi in a place that reeks of dirty fishtank. If you want good sushi, go to Tsunami downtown. I’ve never had that experience at Ichiban, but Tsunami is another favorite of mine as well. It’s been too long since I went there! If you are ever in Sarasota, you should definitely check out these restaurants! It’s a great place to visit the beach, too. I’ve never been so Sarasota, but the photo of those donuts is enough to make me consider it. 😉 Great post! Whenever I’m visiting a new city I look on Pinterest for posts like this so I know where to eat so I’m sure this will be super helpful for that!! I would come here just for the donuts! I love that you are doing this. I personally love to know where locals eat when I might visit somewhere. This is a great list too! I always look for lists like this when I’m visiting a new area. I love trying new foods, and hearing what the locals love always leads to the best finds. I just returned home from the Sarasota area on Saturday (I miss it already)! My siblings and I own a place on Longboat Key, and when my husband and I are there, we rarely get off the island. So our favorite spots to eat are Mar Vista and Dry Dock. Both have spectacular water views and the food is delicious. We’ve also enjoyed the Chart House on LBK, and The Sandbar and Beach Bistro on Anna Maria Island. You have some great ideas for dining on the water! I love Mar Vista and the Chart House, too. It feels like I’m going on vacation when I go out for dinner on the island! I am a Florida native and my parents are in the Tampa Bay area. I’m dying to get my husband over there and to take him to Sarasota. It’s been awhile since I’ve been back, too. 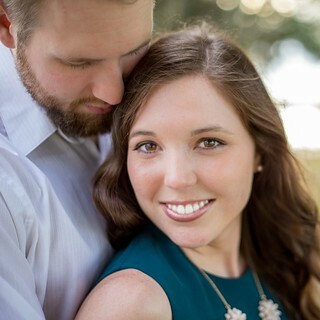 Thanks for the list (followed you from the Pretty Pintastic Party)! 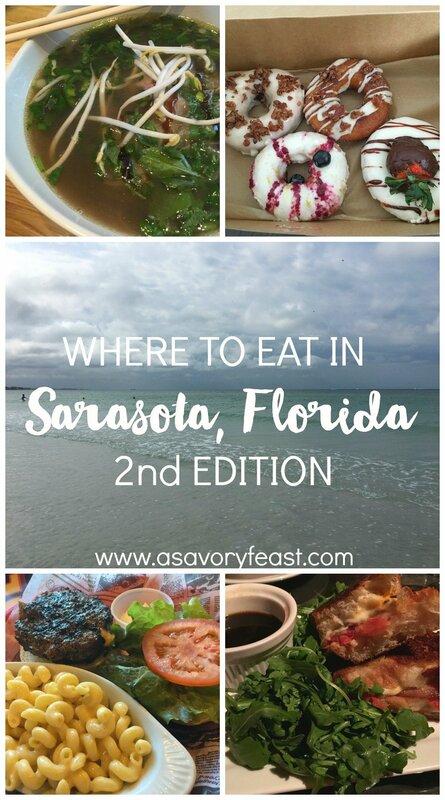 You should definitely plan a trip to Sarasota soon! You’ll love these restaurants. I love First Watch! Bob’s Train is one I have been meaning to try. Thanks for these ideas!